There are many ways you can provide financial support for the Schoolcraft Library. You may donate through a secure online transaction via Paypal – checking with your employer to see if they do matching gifts – or consider a number of other alternatives. The Friends of the Library meet the second Friday of the month September through July to assist the library with programs and fundraising efforts. New members are always welcome and encouraged to be part of this organization that is a vital part of the library and its operation. Monetary donations are always welcome, but we also love to give opportunities to those who would like to share their time with us as well. Possible ideas for gifts of time: gardening, painting, weeding, sorting books for book sale, cutting crafts for children’s programs, shelving books, and reading shelves. Call the library for more details. If your place of employment has a United Way campaign each year, why not consider designating your donation for the Schoolcraft Community Library? It keeps your money local and helps the entire community. Did you know you can bring those empty ink cartridges to the library and we can turn them in for a cash donation back? You not only save the environment, but help the library at the same time! Sign up with Harding’s Community Rewards to help us earn money every time you shop with Harding’s. Select us as your chosen organization when you signup online on the Harding’s website. You may donate funds for books or other materials for the library in memory of a loved one. This can be done for birthdays and anniversaries as well. Book donations are accepted throughout the year. These donations may be used for the annual book sale, to put in our collection, to sell on the used book shelf in the entry or for our Take One-Share One book display. Books can be dropped off during the library’s open hours. Books not accepted are textbooks, encyclopedias, magazines and Reader’s Digest condensed books. The Library Expansion is complete and the library has re-opened, but 4″ x 8″ bricks are still available for a short time if you are interested. The bricks sell for $100, and it is a great way to help the library with future projects. 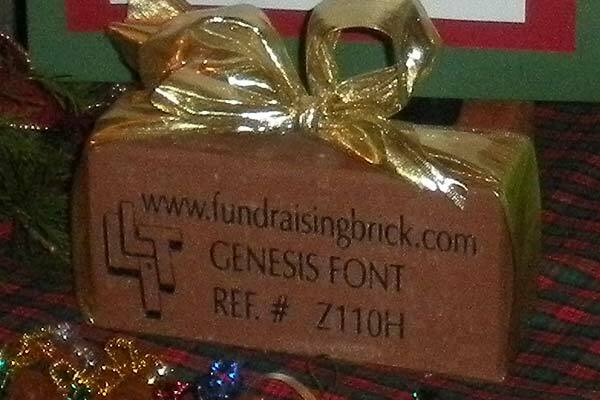 Personalize a brick for a child, spouse, parent, grandparent, grandchild, other relative or yourself. Honor a loved one, an educator or a friend – any individual who has made a difference in your life. An example of the brick is available at the Library. Bricks may be purchased by coming to the library or downloading and filling out our Brick Order Form. Completed forms may be dropped off at the Library with a check or cash.